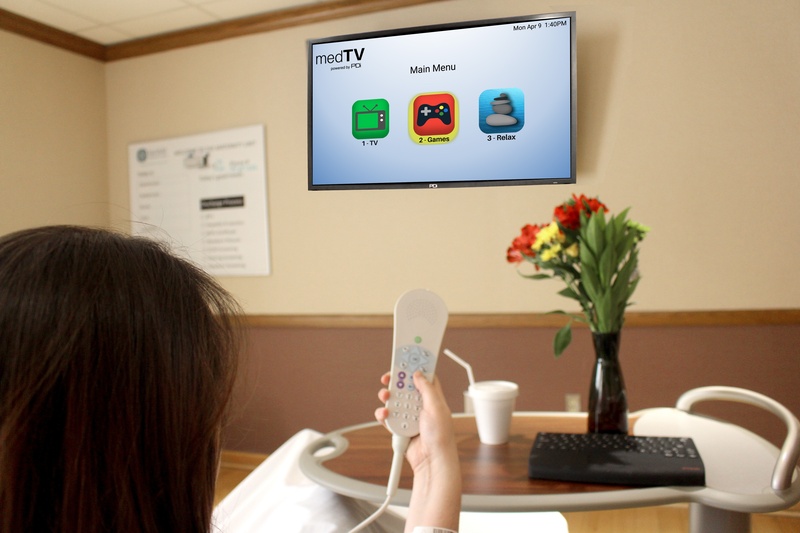 Healthcare-grade TVs offer patients added entertainment and relaxation options, no internet required. No internet, no problem! Driven by the mission of improving patient experience with entertainment technology since 1980, PDi Communication Systems, Inc., launched a unique line of large screen, healthcare-grade flat panel LED patient HDTV televisions that have integrated smart apps: The PDi A-Series. These TVs offer patients added entertainment and relaxation options for facilities not yet ready to turn on internet access. PDi is the nation’s largest manufacturer of complete healthcare-grade entertainment solutions from 14” arm-mounted tv or touchscreen systems thru 55” wall TVs. The A-Series by PDi is available in screen sizes 24”, 32”, 42” and 55”. 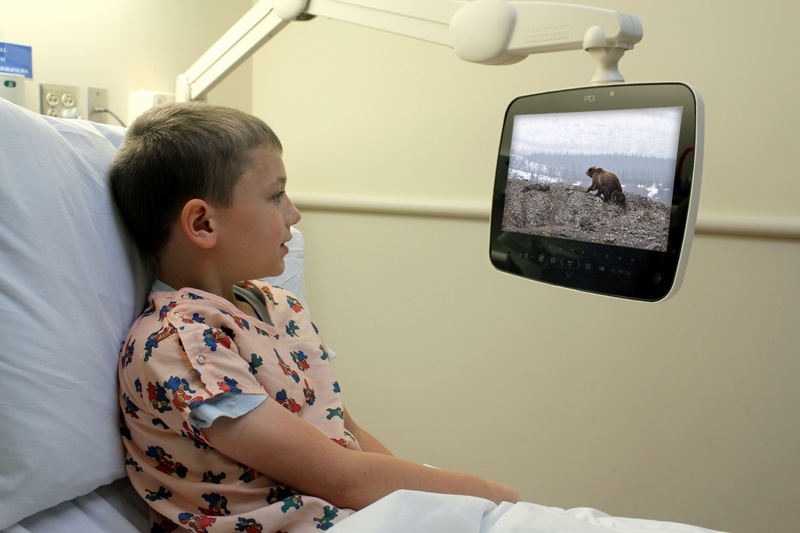 The A-Series changes the game in patient entertainment by using simple, thoughtful technology and design to provide more entertainment options to offer patients now, while providing a smart future-proof choice. 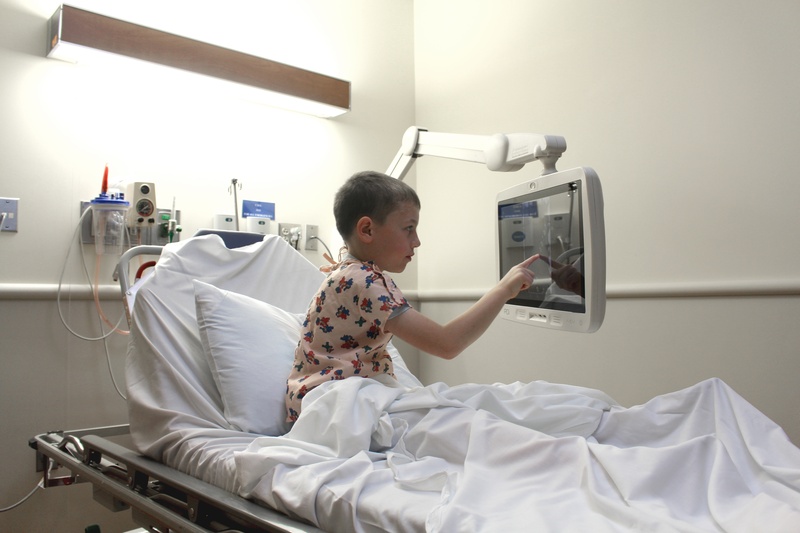 Previously, we discussed the experience of a large-screen footwall patient TV and considered the user experience of a hand held tablet, here we will look at placing an interactive patient tv at the bedside. Previously, we discussed the experience of a large-screen footwall patient TV. 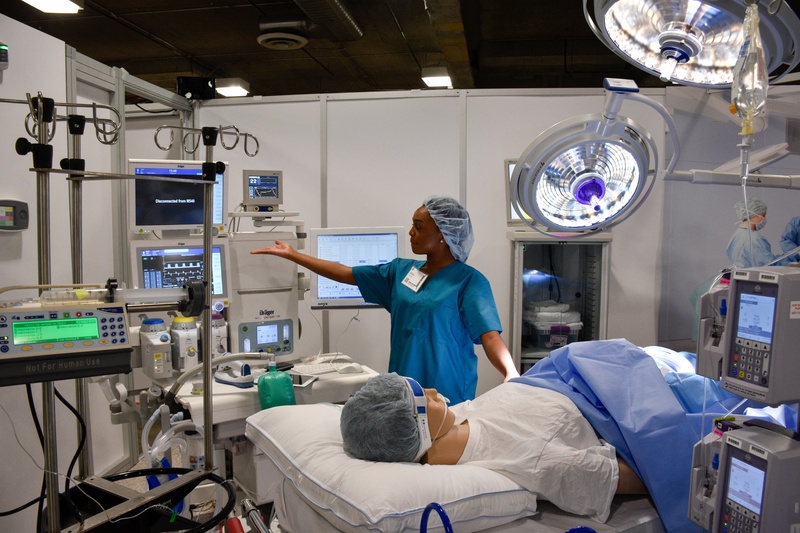 Here, we will dicuss the emergence of consumer tablets used in the patient room. 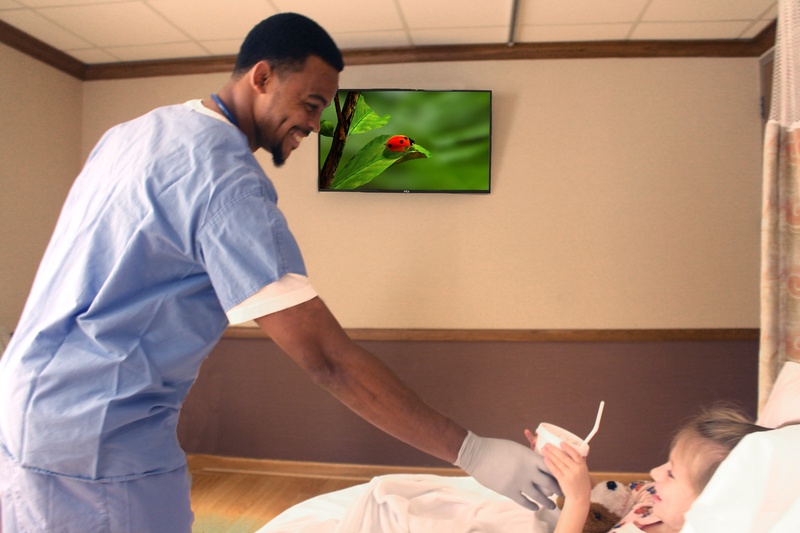 In an effort to mirror the average patient's home environment, many healthcare facilities choose a large flat screen healthcare TV and place it on the footwall to liken a cinematic experience. This layout is conducive to entertain a group, but the application can pose challenges to a bedridden patient trying to utilize the interactive patient system. The issue simply boils down to the literal “gap” between the patient and the device causing some unexpected predicaments. Considerations for transforming the patient experience. In today's healthcare climate, hospitals must provide excellence in patient experience to be competitive and successful. 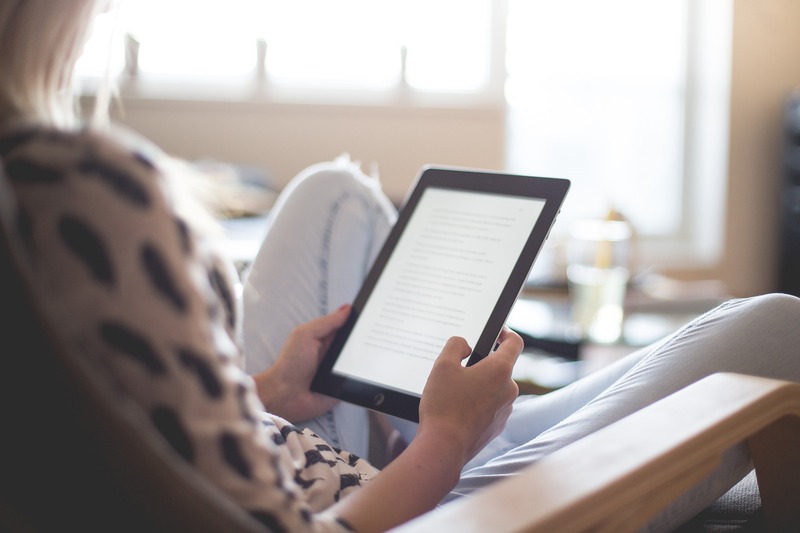 Many healthcare organizations are looking to technology to enhance patient experience, and there are thousands of software options to choose from. Once the software is selected to fit the organization's workflows and goals, the hardware is often selected next. In many cases the hardware is selected based on price. Innovative Technology Showcase in Intelligent Health Pavilion in Orlando, FL.